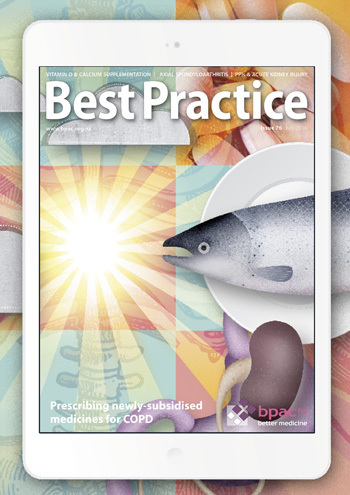 The Best Practice Journal (BPJ) provides evidence-based medical education and guidance for health professionals, with a primary focus on the responsible use of pharmaceuticals. 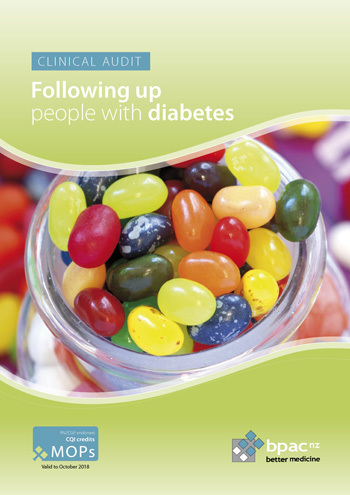 Eight editions of BPJ are published each year, and over 8000 copies are distributed to primary care health professionals throughout New Zealand, including; General Practitioners, Nurse Practitioners, Practice Nurses, Community Pharmacists and Maori and Pacific health providers. 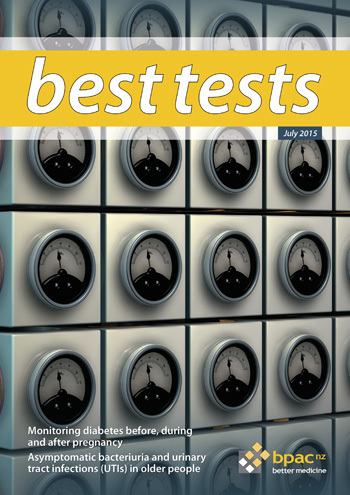 Best Tests is a companion publication to BPJ, that focuses on the use of laboratory testing in primary care. Best Tests is published four times per year and printed copies are distributed to over 4000 General Practitioners throughout New Zealand. 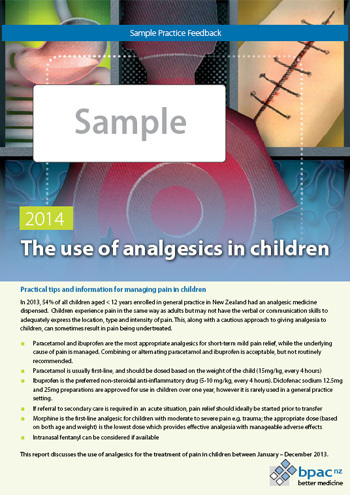 The bpacnz produces personalised data reports for practitioners and practices, describing trends in prescribing or laboratory testing behaviour. Generic versions of these reports, including national data trends, are available here. produces a range of clinical audits that are endorsed by the Royal New Zealand College of General Practitioners (RNZCGP) as a Continuous Quality Improvement (CQI) activity for allocation of Maintenance of Professional Standards (MOPS) credits for General Practitioners.